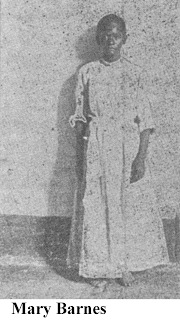 The brutal axe murder of Lucy Jane Pollard occurred in broad daylight, just outside her home in Lunenburg County, Virginia on June 14, 1895. Within four days the constable had arrested four suspects— three women and a man, all African American. By July 20 all four had been convicted of first degree murder. But as it became increasingly obvious that the male suspect had lied in all four trials, the fight to save the women became all-out war, pitting white against black, city against country, and simple truth against Southern honor. 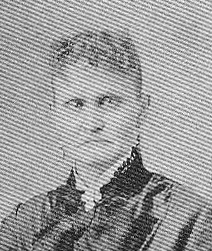 Edward Pollard married Lucy Jane Fowlkes in 1882; he was 60 and she was 44. He had been married twice before, each time to his financial betterment and by the time his second wife died Edward was a successful tobacco farmer with substantial land holdings. His marriage to Lucy Jane, from a planter family, augmented Edward’s social standing. 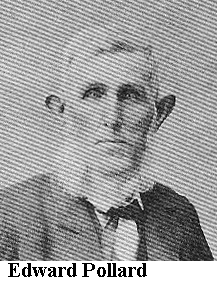 In 1895 Edward Pollard was 73 years old and had become a bit cantankerous, constantly involved in disputes with his neighbors over property and right of way. He had also become a money lender. It was well known in Lunenburg County the Pollards kept large amounts of cash in their house. The afternoon of June 14, 1895, Edward came in from the field and found his wife’s body lying on the ground just outside the backdoor of the house. Her head had been gashed by several blows from a meat axe that the Pollards kept outside the house. The motive had been robbery; more than $800 in cash had been taken from the house, along with some of Lucy’s dresses and bed linen. 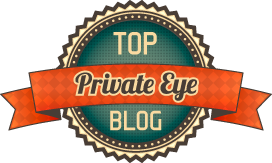 The Constable, the Justice of the Peace, and a private citizen named Cass Gregory began the investigation, questioning neighbors and farmhands well into the night. 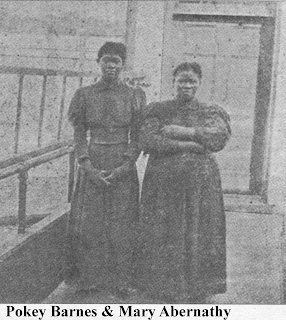 Mary Abernathy, a black farmhand and tenant of the Pollards had been the last person to see Lucy alive. 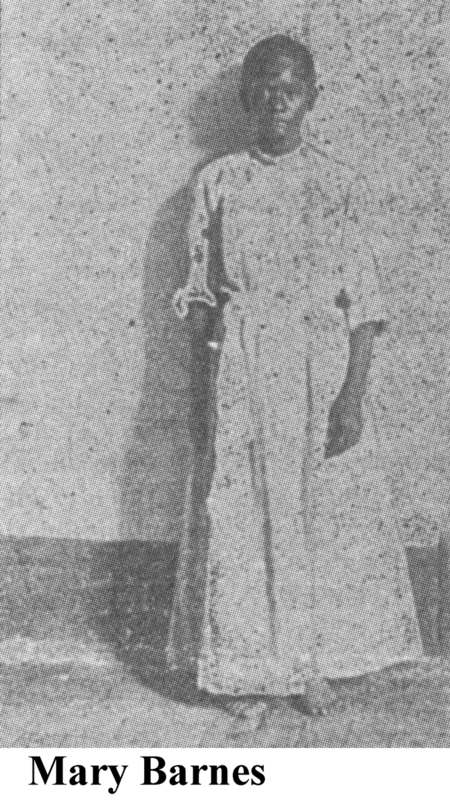 Twenty four hours after the murder, Mary Abernathy was arrested. Pokey Barnes, also black, was arrested next. 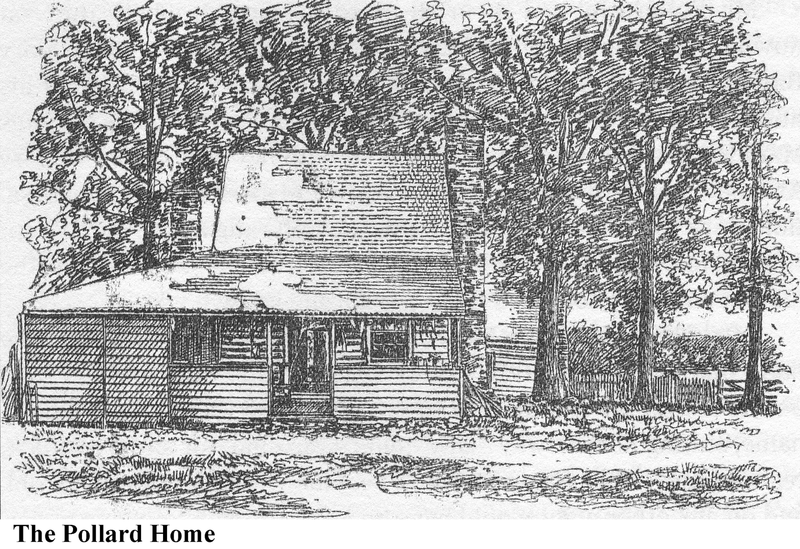 She was a neighbor of the Pollards and was seen near the Pollard’s house that day. By the end of the second day four more black women were arrested, including Pokey Barnes’s mother, Mary Barnes. 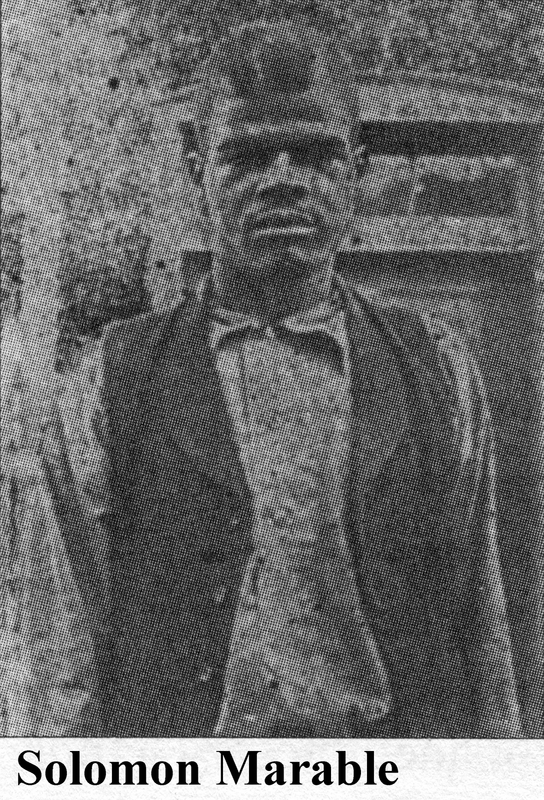 The authorities were looking for one more suspect, William Henry Marable, a black sawmill hand, who went by the name Solomon. In Chase City, Virginia, not far from the murder scene, Solomon Marable had paid a fifty cent restaurant tab with a twenty dollar bill—equivalent to using a hundred dollar bill today to buy breakfast. The waitress noticed that he had another twenty as well. Marable became a murder suspect and was arrested on Tuesday, June 18. 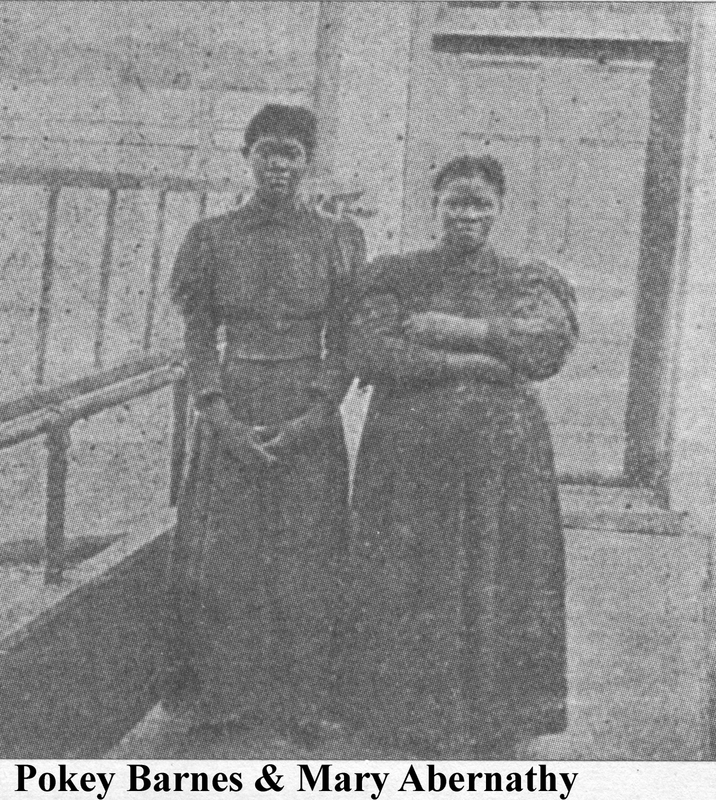 Solomon Marable claimed he saw Mary Barnes, Pokey Barnes, and Mary Abernathy the day of the murder and they told him “they had something good in store.” Later he saw Pokey Barnes and Mary Abernathy with their clothes and hands covered in blood. Mary Abernathy gave him $20 and told him to say nothing about it. He did not learn about the murder until the following day. The three women Solomon mentioned—referred to as the Lunenburg Women—were held, the rest were released. Lynching was a very real threat to the prisoners and it was felt they would not be safe in the Lunenburg jail. They were taken, under heavy guard to Petersburg, more than a day’s ride away. The prisoners were returned to Lunenburg jail on July 11 escorted by two companies of the state militia who would remain in to keep order in the village of Lunenburg until all four were tried. The trials were held in quick succession starting with Solomon Marable’s on July 13. Virginia at the time had no formal system of public defenders and though the judge tried to get Marable a lawyer, no one was willing to take the case. Solomon Marable sat alone, acting in his own defense. The evidence against him was circumstantial, but Marable damned himself when he said on the stand that he held Mrs. Pollard’s hands while Pokey Barnes hit her with a stick and Mary Abernathy hit her with the axe. The jury deliberated for nine minutes then returned a verdict of guilty of murder in the first degree. The Lunenburg Women were also tried without the benefit of counsel. With no legal knowledge they could do little but tell their story and throw themselves on the mercy of the court. Only Pokey Barnes was able to mount a significant defense—she was able to provide a believable alibi. But all three were found guilty. May Abernathy and Pokey Barnes were found guilty of first degree murder and sentenced to hang, Mary Barnes, to the prosecutors dismay, was found guilty of second degree murder and sentenced to ten years in the penitentiary. 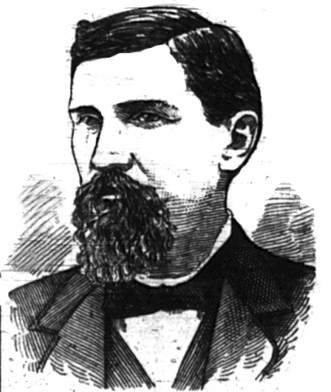 By now the case was famous throughout Virginia; the Richmond press had followed it closely, and the state militiamen brought home stories of Solomon Marable’s erratic testimony. 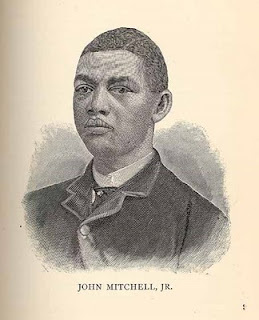 At this point the cause of the Lunenburg Women was taken up by John R. Mitchell Jr., editor of the Richmond Planet a prominent African American weekly newspaper. 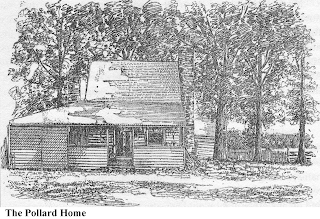 The Richmond Planet, with the help of contributions from its readers and from citizens and civic groups, both black and white, from all over Virginia, was able to mount an appeal on behalf of Solomon Marable and the women. They hired an impressive team of attorneys led by former Congressman George Douglas Wise. The Richmond Dispatch took the opposite point of view coming perilously close to advocating lynching the prisoners to protect family and property. The first hurdle for the new defense lawyers was finding grounds for appeal. The defendants, all acting as their own attorneys, had neglected to file exceptions that would be grounds for appeal –an act that would be second nature to a losing attorney. Wise and his team, examining the record, found something they could work with. When a court adjourned in midtrial the judge was required to charge a sworn officer to keep the jury together and to keep them away from outsiders. And the judge’s charge had to be part of the written record. This was not done in any of the cases. The citizens Lunenburg took the appeal as a grievous insult. They were appalled that anyone could accuse a Lunenburg trial of being anything less than fair and they hired their own team of attorneys including future governor of Virginia, William Hodges Mann. Mann realized that the opposition had a strong case and tried to file a nunc pro tunc order—literally “now for then”—to add language to the record that should have been there all along. The order was denied and the appeals court granted each defendant a new trial. The defense attorneys moved for a change of venue which was granted. Mary Barnes refused the new trial, fearing her next verdict would be worse than ten years in prison, but the rest would be retried in the town and Farmville in Prince Edward County. Solomon Marable’s case was heard first and after two days of testimony and eighteen minutes of deliberation he was again found guilty of first degree murder. Mary Abernathy’s case was harder fought and her trial lasted longer than all four of the original trials put together, but in the end the jury deliberated only five minutes before returning a verdict of guilty of first degree murder. Watkins filed a nolle prosequi motion, dropping the charges. The motion was allowed and Pokey was released. Mary Abernathy’s new verdict was appealed and the appeal succeeded allowing her another trial. This time the commonwealth dropped the charges and Mary Abernathy was free. “The life or liberty of a citizen, however humble, is too sacred in the eyes of civilized man to be taken upon the testimony alone of a self-convicted perjurer and murderer…Every mandate of justice and dictate of conscience require that the prisoner be restored to her liberty. Solomon Marable, now seriously worried about the afterlife was converted to Catholicism by Father Weblers, a white priest who headed Richmond’s only black Catholic church. He had also refined his “white man” story, and now said it was David Thompson, a storekeeper in the town of Finneywood, who had involved him at gunpoint in the murder that Thompson committed. But Thompson had an alibi; he was with four other businessmen who would testify to that. Unlike his earlier stories, Marable stuck with this one over multiple tellings and was still telling it on the day of his execution. Solomon Marable was hanged inside the Prince Edward County jail on the morning of July 3, 1896. He had converted back to Baptist, partially because Father Weblers did not believe his “white man story” and pressured him to confess. Solomon stuck to his story to the end. The story Solomon Marable first told, implicating the women, was repeated at least eight times and was different each time he told it. The second story, where a white man forced him to help with the murder, was told and recorded nine times, each time the same. It has been theorized that Marable was confused about the identity of the white man and that the killer had actually been Herbert Thompson, David Thompson’s brother. Both of the Thompsons were deeply in debt and had a motive for the robbery. Herbert Thompson had a history of violence and, if Marable’s story was true, he may have been white man who had forced Solomon Marable, at gunpoint, to assist in the murder. There is little question that Solomon Marable was at least an accessory in the murder of Lucy Pollard, but it was never determined who actually killed her. The stolen money was never recovered. Lebsock, Suzanne. A Murder in Virginia: Southern Justice on Trial . New York: W.W. Norton &, 2004. This was a very interesting read, indeed. I am a native of Lunenburg, Virginia and have only heard this story through local folklore. Locals are still divided as to the identity of the perpetrator, some say it was "The Women" and others this Thompson character. I'm pretty sure Thompson was behind it. there's countless records/stories of blacks being set-up... whites knew it was the best way to get away with something.